A newly set up kitchen is a dream come true for many homeowners. Everything is polished, sparkly and new. However, to preserve the value of your kitchen, care must be taken to avoid some of the biggest kitchen mistakes that homeowners commonly make. And we aren’t just talking about lousy cooking skills. Below are five kitchen mistakes that are often made by home owners and how to avoid them. Your bedroom isn’t the only place that sets the temperature rising. Kitchens are built to handle high heat too. With all the cooking done mostly in the kitchen, this part of the home is exposed to the highest heat of all. While you may not store things like gasoline, nail polish and aerosol within the kitchen compound, items like your wooden fittings (kitchen cabinets, countertop), cooking oil and cooking alcohol may pose a fire risk as they are highly flammable. The Fire, Ambulance and Enforcement Statistics 2017 released by the Singapore Civil Defence Force showed that unattended cooking emerged among the top 3 types of fire in residential premises in Singapore, with 402 fire incidents in 2017. Stay focused when you are cooking, and should you attend to any emergency, always turn off the stove. Or, install a timer so that you will be alerted when the food is ready. While you cannot alter your kitchen fittings, you can definitely minimise the risk of fire by storing all your flammable goods in a cool place away from your stove and oven. Steel wool works wonders when it comes to scrubbing off stubborn stains and harden food residue off your cookware. With its abrasive and fine steel filaments, steel wool can give your cookware a good polishing. Just because it is effective in scrubbing off stubborn stains and residue, doesn’t mean you should use it on just about any surface. Like all sharp objects, steel wool, no matter how fine, can scratch the sealant off your beautiful countertop and the protective coating off your non-stick cookware. Before you go all gung-ho in cleaning and scrubbing your surfaces, read the care instructions for the items you are about to clean. Scratches can be glaring especially on a smooth and polished surface. Also, your cookware could be rendered useless once the protective coatings come off. Are you a fan of raw salads and fruits? Do you use the same cutting board for all your food items? It’s time to rethink that. Cross-contamination can occur if ready-to-eat food items are placed on the same surface used for raw meat, seafood, poultry or eggs. It’s recommended to have one board for your fresh produce and another to cater for your meat, seafood, poultry and eggs. Be sure to wash both cutting boards thoroughly especially if you are stacking them atop another. Kitchen countertops made from granite or marble exude a timeless appeal, but they also come with high maintenance. These types of countertop are sealed during installation to prevent dirt and moisture from seeping into the porous surface. Missing your annual maintenance schedule could put your beautiful countertop at risk of getting ruined. It is recommended to seal your granite or marble countertops yearly to prolong its lifespan and keep it hygienic. If you aren’t a stickler for high maintenance, consider other alternative countertop material like quartz. 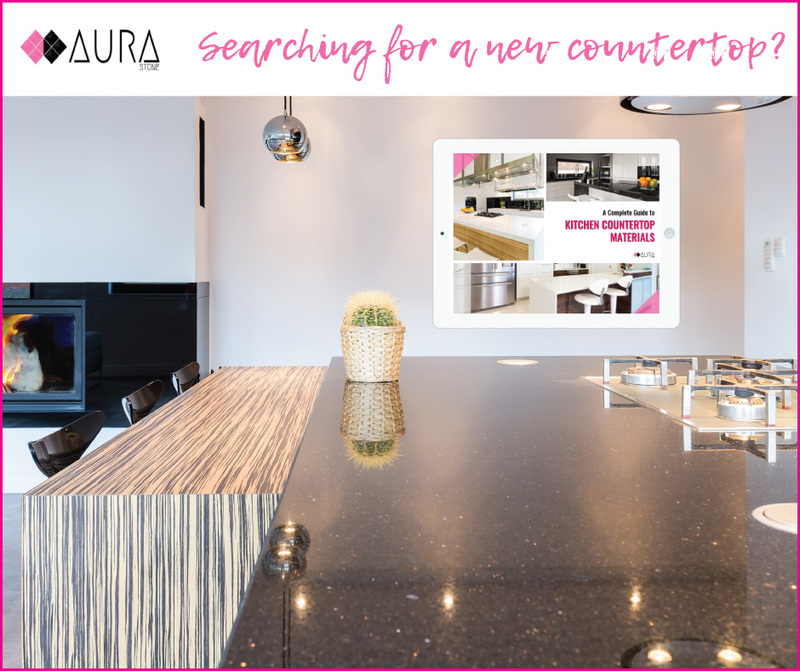 Not only are quartz countertops durable, they also come in various colours and designs, and can be engineered to mimic natural stones. Even if you practise zero food waste, having remnants in your cookware and plates are almost unavoidable. It is always easier to take the quickest route by simply washing away the bits and pieces of food down the drain. After all, what is a little grain of rice, right? Gradual accumulation of fats and food particles will clog up the sink and prevent the smooth flow of water. Grease will congeal and food particles trapped within the passage way will rot. Your kitchen should be a place of delicious scents, not foul stench! Take care of your sink to prevent future plumbing problems. It only takes a few seconds to scrap off your food remnants into the bin before washing them. The good news is: These mistakes can be avoided! All it takes are good habits, hygiene and a dash of common sense, and you will get to enjoy your happy nook for a very long time. If you are interested to find out more about quality kitchen countertops, feel free to contact us for a chat.